FUTURE IN-LAW SUITE/GUEST HOUSE? This rare 1.11 acre level parcel features two unique structures with future potential for doubling the size of the living area. The original structure is a 1560 sq foot cabin which has been remodeled with a rustic appeal and features a new roof and deck. The second structure is a 4000 sq foot car barn built in 2007 which includes a 1600 sq ft partially finished loft above. The car barn is a blank slate waiting for you to design the your shop area, office, guest quarters or most anything you can imagine. The two buildings are separated by a circular driveway and framed by garden walkways, terracing, and giant decorative boulders. Both structures feature vaulted ceilings, walls of windows bringing in great natural light and updated interiors. 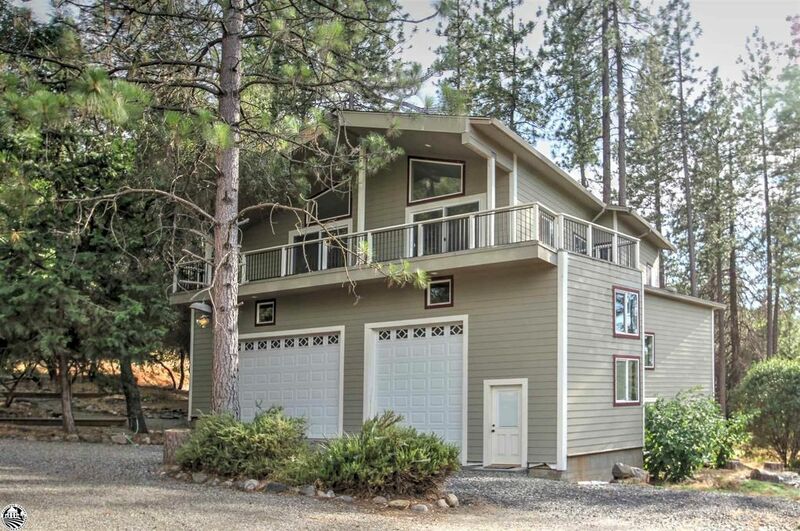 Located in the gated resort community of Pine Mountain Lake, just 26 miles from the NW Gate of Yosemite National Park. PML amenities include a pga-rated 18 hole golf course with a country club and pro shop, a recreational lake with 3 marinas, swimming, and boat rentals, tennis and pickle ball, an equestrian center with boarding, horse rentals and trail rides, archery, hiking trails and more. Possible owner financing with 20% down. Directions: Directions: Highway 120 to Groveland. Left on Ferretti Rd, right to PML Main Gates, left on Tannahill, right on Pleasant View, left on Mueller Dr and left on Jackson Mill Dr, just past Tip Top Court.